Creatively shaped fresh fruit has a variety of uses. Create an edible bouquet by arranging the cut fruit onto bamboo skewers and inserting them into a foam-filled bowl, bucket or other decorative vessel. As another option, use the fruit shapes to garnish party appetizer trays. 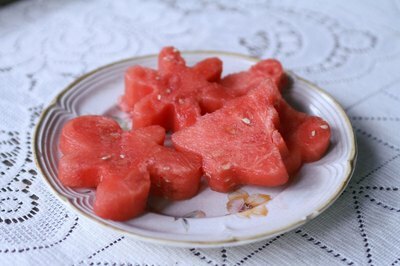 You can tempt kids into eating more fruit by cutting it into flower, star and heart shapes. 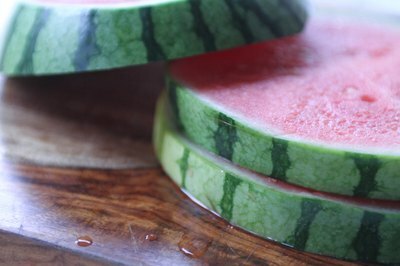 Use basic cookie cutters to create perfectly cut slices of fruit. 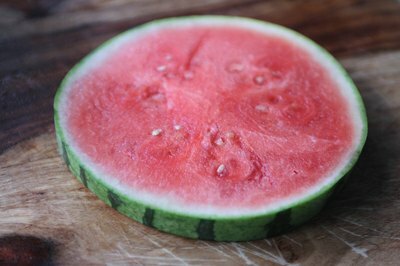 Cut whole, firm-textured fruit, such as watermelon and pineapple, into flat, 1/2-inch slices. Place the fruit slices on a cutting board. Press cookie cutters firmly into the centers of the fruit slices. Choose cookie cutter shapes to reflect specific holidays or events, such as hearts for Valentine's Day, stars for Fourth of July or gingerbread men for Christmas. 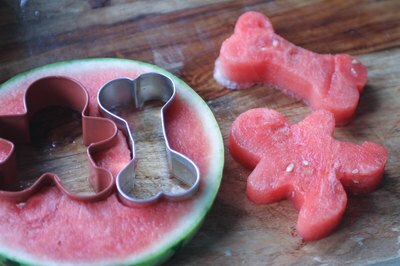 Pull the cookie cutter out of the fruit and shake or push the slice out. Use leftover fruit to make salads.